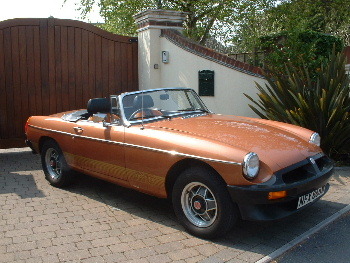 MG ROADSTER LE 1980-W 2,500miles !!!! 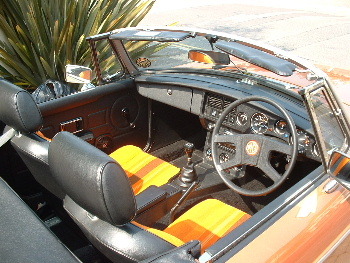 Finished in LE Bronze Metallic with Orange/Brown 'Deckchair Fabric',Last sold by Ourselves in 2001 with Only 995miles. This car can only be described as in'as new'condition throughout,No:170 of 420,Professionaly'Waxoiled',Cooling system treated with'Forlife'Coolant/Inhibitor,Magnetronic Ignition Unit,Full MG Tonneau Cover,Fully fitted Boot Carpet Set,JVC CD/Radio/Cassette 12 Stack CD Interchanger Sound System,Manual Transmission with Overdrive,Cars such as this rarely become available so own a peice of British Motoring History.